LONDON — It's not every day that a 9-year-old American girl takes the British government to court. But for Menabe Andargachew, it's a matter of life and death: her father's. Andargachew "Andy" Tsege disappeared while catching a connecting flight through Yemen in June 2014. The political activist was snatched and forcibly taken to Ethiopia, where he had been sentenced to death for opposition work. Tsege is British but so far his government hasn't demanded his release. Now Menabe and her family are trying to force their hand: They filed a legal challenge alleging that approach is "unlawful." "My mom said he's been sentenced to death," Menabe says as her chin quivers. "I just don't know if we can get him back in time." 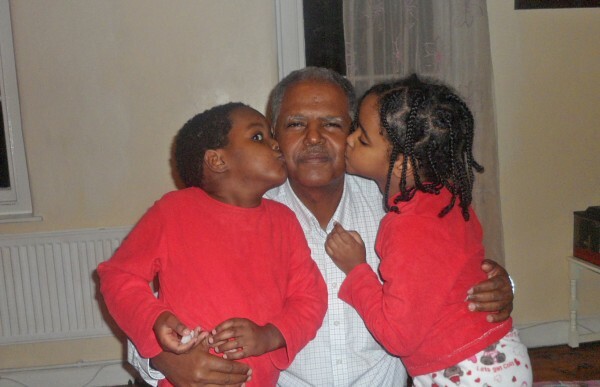 This week 61-year-old Tsege marked 700 days in detention — without any access to a lawyer. His Maryland-born partner, family and lawyers say he was kidnapped — a victim of rendition carried out by Ethiopia, which has labeled him a terrorist and enemy of the state. Ethiopia says he was "extradited." Tsege was never formally notified of charges against him, trials or given an opportunity to present a defense, according the legal filing. His supporters allege that Tsege — a prominent member of the Ethiopian opposition — is a victim of political persecution. "I have serious questions about the Ethiopian government's use of the Anti-Terrorism Proclamation to limit free speech and political dissent, and Mr. Tsege's grave case is one of many that gives cause for concern," Sen. Ben Cardin, the top Democrat on the Foreign Relations Committee, said in a statement to NBC News. Both the U.N. Human Rights Council and the European Parliament have called for Tsege's release. The British government has expressed "deep concern" over his case. But thus far, it hasn't followed suit in demanding Tsege be freed — instead focusing on getting him "due process." Tsege's family and lawyers say that's a ludicrous approach. "The suggestion that he can go through a court process in Ethiopia to somehow assert his fights is absolutely farcical," attorney Rosa Curling told NBC News. For starters? His transfer to Ethiopia was carried out without any formal arrest or extradition process, according to the new legal filing, which was obtained exclusively by NBC News. Ethiopia says Tsege was "extradited" under an "existing" treaty with Yemen — but the filing says no such agreement has ever been produced. "You don't really ask due process of your kidnappers," Tsege's longtime partner Yemi Hailemariam scoffed. "That man should not be languishing in an Ethiopian prison ... All he wanted and he aspired for is a country similar to here and the U.S. in Ethiopia." 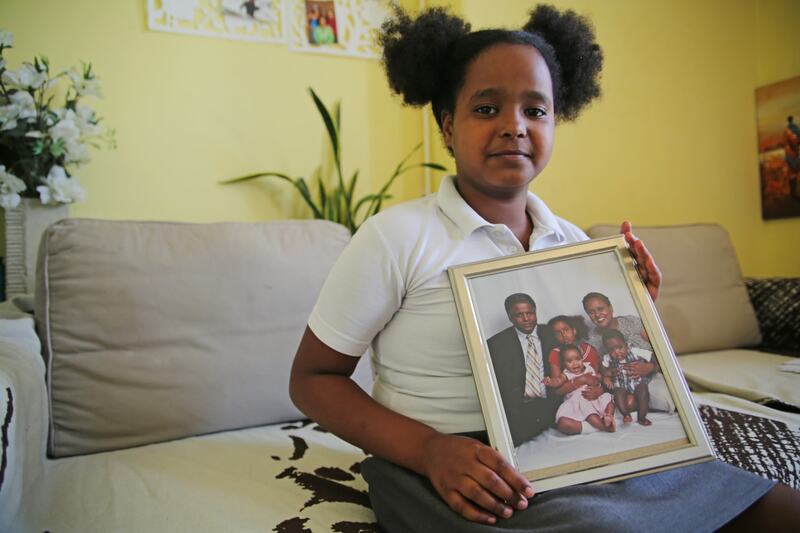 Hailemariam and her kids share U.S. and U.K. citizenship. They have written to the queen, the prime minister, American and British lawmakers for help getting Tsege home over the past 22 months. She hopes the new legal challenge — a request for a judicial review — will force the Foreign Office to "genuinely change" their strategy toward the case and work harder to protect its citizen. "Are we saying that a nation can just grab a third nation's citizen from any airport, from anywhere at will?" Yemi said. "The U.K.'s actions — they're saying it's OK."
Tsege had a two-hour layover at Yemen's Sanaa International Airport on June 23, 2014, while en route from Dubai to Eritrea. He never made it onto the connecting flight because he was "forcibly detained by a number of unknown individuals" while riding on an internal airport bus — then stripped of his British passport and held in an office for hours, according to the filing. "Officials of the Government of Ethiopia then arrived... put tape over his eyes and a sack over his head, placed him in a Jeep, and forced him aboard a plane," the legal filing alleges. That was 22 months ago. Since then Tsege was held in solitary confinement for over a year then transferred to the notorious Kality Prison. "Tsege lives in constant fear that a death sentence imposed on him in absentia more than five years ago will be carried out," according to the document. NBC News obtained a copy of the filing from the campaign group Reprieve, which has been lobbying on behalf of Tsege's family. Hailemariam and Tsege met in 1998 through a mutual friend after she moved from the U.S. They started out as good friends, romance only followed later. Tsege already was "very politically active" at the time. He was born on Feb. 9, 1955, in Addis Ababa to a prominent family: his father worked in the Ministry of Development under Emperor Haile Selassie. After studying mechanical engineering, Tsege fled Ethiopia in early 1978 amid a campaign of repression by the Derg — the Marxist regime junta that ousted Selassie. 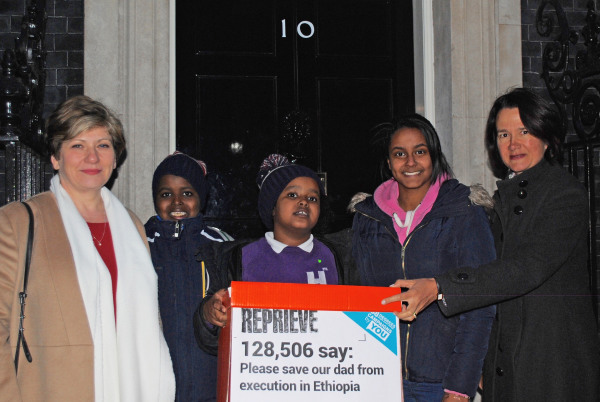 Tsege was granted full refugee status in the U.K. in 1983 on the basis of political opinion. He earned his British citizenship in 2006 and remained an outspoken critic of Ethiopia's regime, helping co-found an opposition party called "Ginbot 7" in 2008. The party — which called for democracy, free elections, civil rights and change of government "by any means" — was branded a "terrorist organization" by Ethiopia's government in 2011. No other state has deemed it such. Tsege has been tried and convicted three times in absentia by Ethiopia's government for what appears to be his political activities. First in 2005 — alongside dozens of other opposition members and journalists. The conviction was reportedly for "high treason" — though Tsege was never formally notified of the precise charges against him, the filing says. He received a life sentence. In 2009, he was sentenced to death and in 2012 again sentenced to life in prison. Tsege's 2012 case was part of a group of convictions criticized by the State Department as "extremely harsh" and which reinforced "serious questions about the politicized use of Ethiopia's anti-terrorism law." "We urge the release of those who have been imprisoned for exercising their human rights and fundamental freedoms," it said at the time. None of the developments deterred Tsege from continuing his activity in the opposition. His trip to Eritrea in June of 2014 was part of that work. Before he left, Tsege and Hailemariam discussed a vacation they were planning in Italy with the children. She ended up taking the children alone. 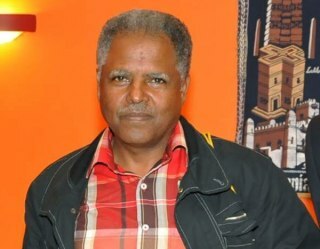 Ethiopia paraded Tsege on state TV shortly after confirming he was in custody — two weeks after he disappeared. A July 8, 2014, broadcast purported to show him being interrogated and another video later that month purported to show the same — but a scream can be heard in the background. A January 2015 broadcast appeared to show Tsege denying he had been mistreated. Campaigners say the videos appeared highly edited and were made under duress. The videos showed marked changes in Tsege's appearance and demeanor. "The physical change was just drastic," Hailemariam said. Still, she said she tries not to think about the horrors he may be facing. "He's still alive. And he needs help," she told NBC News. "You have to stay focused on that." Ethiopia's Prime Minister Hailemariam Desalegn defended Tsege's detention in a 2014 interview and insisted the in-absentia trials were "fair." The Ethiopian government reiterated that view in a statement to NBC News on Friday, saying Tsege had been convicted of "terrorist acts." "The stated intent of Andargachew Tsege's organization — Ginbot 7 — is to overthrow the constitutional order through violent means and disrupt the national peace and stability of Ethiopia," it said. 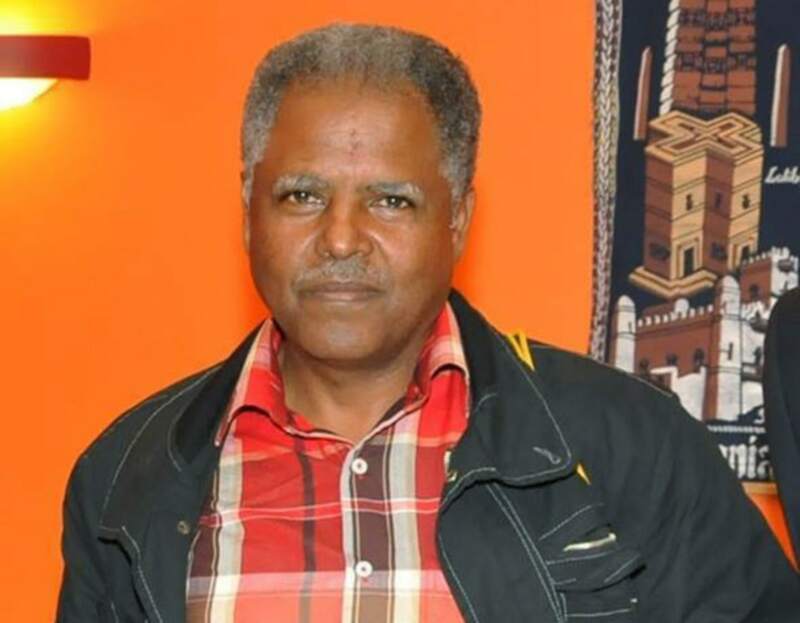 "Tsege was serving as a Trojan horse, assisting the Eritrean government's repeated and ongoing attempts to wreak havoc and instability in the sub-region." The British government has written to its Ethiopian counterpart seeking assurances that the death penalty won't be carried out. None have been given. 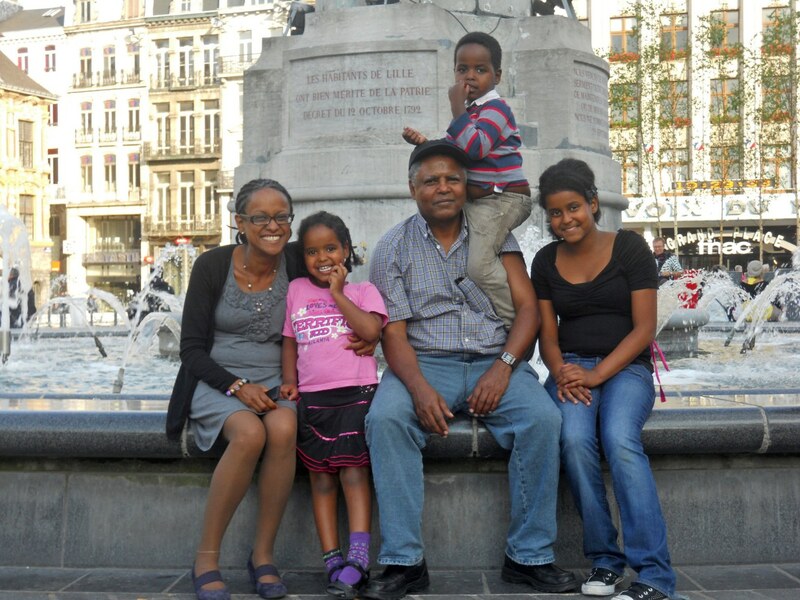 Tsege's only contact with his family in London since he vanished was an unexpected phone call in December 2014. 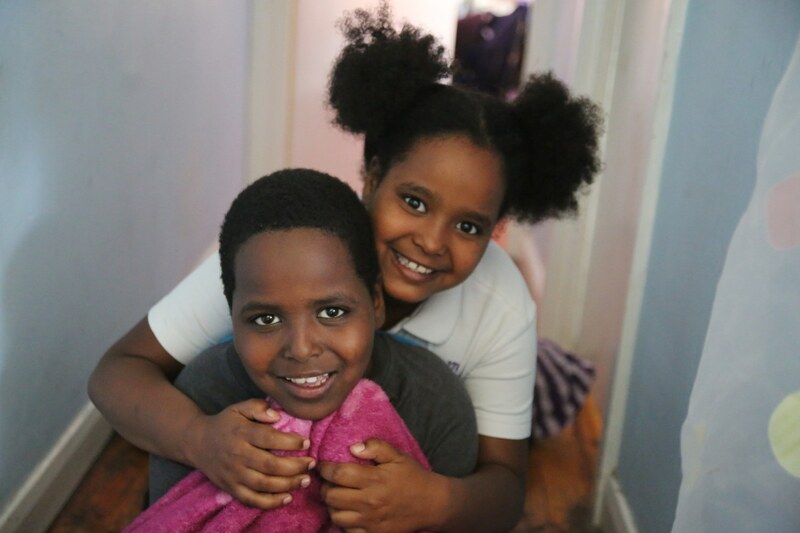 When Tsege asked if he could speak to the children, his partner told him it was a good idea. Menabe, though, could barely speak. "I didn't really talk to him because I burst into tears when I got the phone," the spunky 9-year-old sighs. But she knows what she would say if she spoke to him today. "I'd say that we love him and that we're going to get him back soon and that he'll be back home and that I promise he'll ... He'll not be staying there forever," she said, swallowing hard. She misses "exploring" and playing Monopoly with him — "something our mom doesn't do" — and seeing him would mean far more than a phone call. "I'd say I love him and that I'm sorry that this ever happened," Menabe sniffled, rubbing her eyes as tears start to flow. "I want him back ... I just want him to come home." 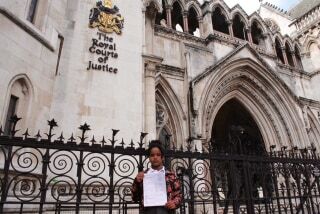 The campaigners working with Tsege's family say it's unacceptable they've found themselves in this position. "The British government needs to do more as part of its duty to one of its citizens," Reprieve's Maya Foa told NBC News. "If in expressing your political beliefs it then means you can't travel anywhere because you could be kidnapped and put in some underground prison... What kind of world are we living in?" Foa questioned whether the cooperative relationship between Britain and Ethiopia might be having undue influence over the government response. The U.S. also has ties to Ethiopia; Obama made a highly-publicized visit there in July. "I think there are potentially other interests that are coming above the interests of protecting a British citizen and his family," Foa said. A judicial review asks the court to review whether the decision-making of a public body was lawful. In this case, the Foreign Office. 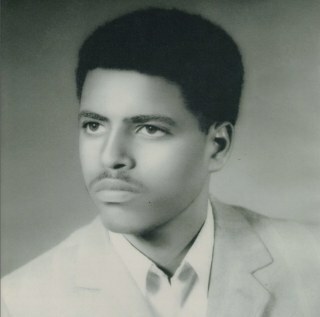 Menabe's filing doesn't dispute that Britain has made "overtures" to Ethiopia about Tsege. However, it challenges the government's focus on securing "due process" rather than demanding his release. Any course of action on the premise Tsege "can or will be afforded due process in Ethiopia is patently implausible and without reasonable basis," the filing states. "Any overtures or representations made in pursuit of this objective are doomed to failure," it added. It says that "the absurdity of the proposition" has been "underscored" by "egregious" violations of international law arising from his in-absentia convictions, detention in Yemen and transfer to Ethiopia. The "due process" strategy is "unlawful," "irrational," "in defiance of logic," and "not only unreasonable but potentially dangerous," according to the filing. The Foreign Office declined to comment on the judicial review or respond to questions about the "due process" approach. "Foreign Secretary [Philip Hammond] has raised Mr. Tsege's case with the Ethiopian government repeatedly, making it clear the way he has been treated is unacceptable," it said in a statement to NBC News. The Foreign Office has since 2014 been requesting regular consular access and assurances from Ethiopia that no death sentence will be carried out. No such assurances have been received. Ethiopia's U.K. embassy declined to comment on but told NBC News on Friday that "Tsege is well-treated and has received visits from the British ambassador to Ethiopia." Those meetings, however, have been intermittent and monitored. A note from one visit with the ambassador said Tsege had indicated execution would be preferable to his current situation. Yemi said that brought her "worst fears to life." "To think what they must have done ... to make the happy and loving man I love so shattered," she wrote in her witness statement. "He has been broken." She told NBC News she believes the U.K. isn't doing what it needs to do to protect their citizen. "They have abandoned him," Yemi said. She finds the British government's refusal to characterize the case as a kidnap is "insulting." One letter to Tsege's attorney's said the foreign secretary viewed Tsege's "transfer" to Ethiopia as "questionable" but not "criminal." "Nothing has changed," Yemi added. "So now we are forced to take them to court and see if they will do something about it." Tsege was helping Yemi raise three children — Menabe, her twin brother Yilak, and older sister Helawit. Helawit, 16, won a human-rights award for her work lobbying for their father's release. On a recent afternoon she was locked in her room studying for exams as the twins played with Snapchat. The gregarious Yilak said he was looking forward to going to the mall in America this summer, and to Dunkin' Donuts. But when asked about their father Yilak clams up. "It makes me sad," he says in a near-whisper. "I try not to talk about it." He also tries not to think about it. But sometimes the absence is too hard to ignore. "When I see other people's dads I just realize that mine's gone," Yilak added. "It just makes me wish my Dad was here." Later, he is heard sobbing in the kitchen as his mother tries to soothe him. "Shh, shh, he's going to come back," his mother coos. "He is."